“Low lying placenta may be a problem after 20 weeks of pregnancy. However, enough remedial measures and adequate doctor’s instructions will help you get through your pregnancy without any complications. So What Exactly Is Low Lying Placenta? When the fertilised egg embeds to the uterus after travelling through the fallopian tube, the placenta starts to develop exactly from where the egg embeds. However, if the placenta attaches itself to the lower side of the uterus, it develops in a low lying position. This is not a problem! During pregnancy, the placenta changes position as the uterus stretches and grows. So, if your early pregnancy scan shows the placenta lying low in the uterus, need not panic as its quite normal. As the pregnancy continues, the placenta moves up to the top of the uterus and by the onset of third trimester, the placenta should be exactly at the top of the womb. This position makes sure that the cervix or the womb entrance is at the bottom of the uterus; thus creating a perfect path for normal delivery. When Should You Be Concerned About Low Lying Placenta? When the placenta is still placed at the lower side of the Uterus, there are chances of it covering some or all part of the Cervix. 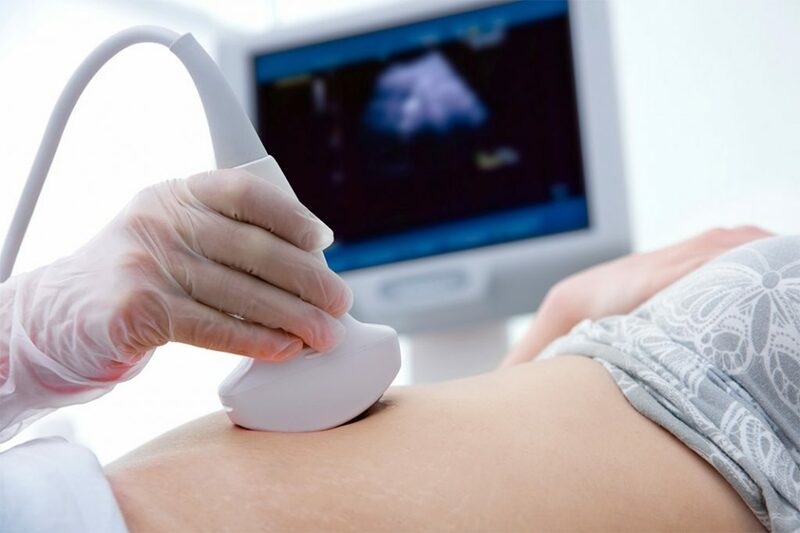 A scan in the 20th week of pregnancy will determine the position of the placenta. This condition is typically known as Placenta Previa. 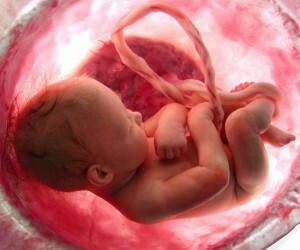 Placenta Previa occurs to 1 out of 250 pregnant women. Although, in this condition, placenta may block the birth canal partially or completely, you still can have normal delivery (vaginal birth). However, Placenta Previa may cause severe bleeding which could cause potential harm to the baby and mother. Therefore in all cases a Caesarean or C-section delivery is recommended by doctors. Treatment for Low Lying Placenta can be done naturally without going under the knife based upon the amount of bleeding, pregnancy week and baby and placenta position. Yoga poses have healed critical health issues and low–lying placenta is definitely not a very worrisome one. To ensure a healthy and complication free pregnancy, you should practice yoga that opens up the cervix area and strengthens the uterine muscles. Yoga also keeps your abdominal muscles relaxed and flexible for your placenta to move casually up. During the first trimester of pregnancy, it is better to take ample amount of bed rest. Stop lifting heavy objects. Especially if you have minor bleeding or spotting, it is better to sit and work than stand for long. If you are planning for a baby or otherwise also make sure you lead a healthy life. Smoking is extremely harmful and it not only causes low lying placenta but also triggers preeclampsia and chances of ectopic pregnancy. Traditional Chinese Medicine Practitioners employ a combination of acupuncture and herbal concoctions to treat Placenta Previa naturally. One should consult a certified TMC practitioner for this. He will recommend herbal formula curated specially for your condition, body type and pregnancy period. Chinese formula like Bu Zhong Yi Qi Tang is one such classic herb that is not only safe for low lying placenta but also prevent miscarriages. Acupuncture can be administered for minor cases of low-lying placenta where pressure points are targeted by certified practitioners (located at the top of your head). It is said that certain homeopathy medicines help pregnant women from getting low-lying placenta. 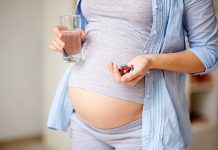 There are more than seven homoeopathy medicines that resolve different pregnancy-related issues including morning sickness, the scope of normal delivery, the risk of miscarriages, pregnancy after 35, depression and other hormonal and bodily changes that take place during this period. The best aspect about homoeopathy and TCM is that they are safe for both babies and moms and do not cause any side effect,unlike modern day medications. However, these remedies are for minor low lying placenta. For severe cases, your doctor will suggest the best process depending on your gestation week, placenta position and earlier track records. Previous articleMSG and Pregnancy! Is it Dangerous for the Mother and Baby? Next articleCuddling Your Baby is Very Important – Science Reveals!